The vermicompost allows converting organic waste into compost rapidly, while producing high quality fertilizer. 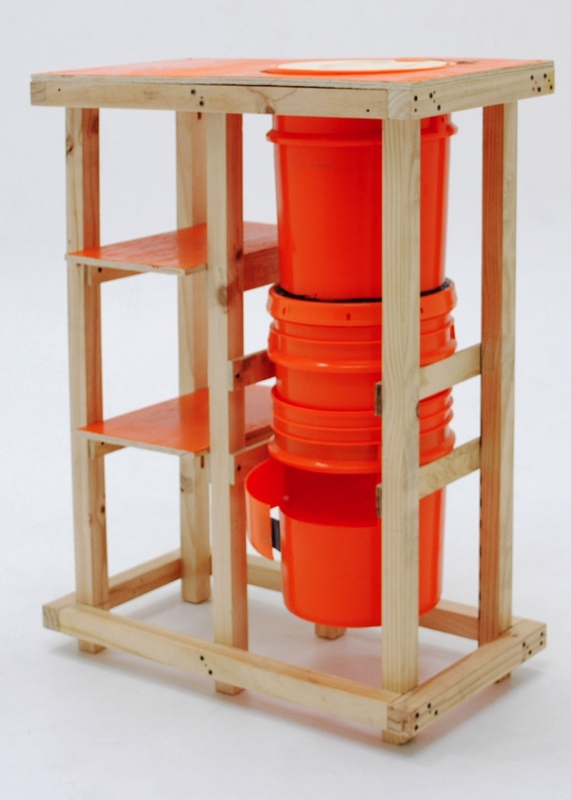 The compost maker is made of three buckets of 19Lts cut at 3 different heights creating 3 levels. The first level is the fresh waste coming straight from the kitchen. The second level is a transition of organic waste (where the worms are), and at the bottom is the humus. The third level holds an accumulated leachate, which is the liquid from the process, and which has also great value as a fertilizer. The workstation is made of standard sized pieces of lumber and of 12mm plywood.